The Peanut Gallery: “Ain’t it easier to drop a file in an FTP Upload Directory, huh?” Let us RAP! 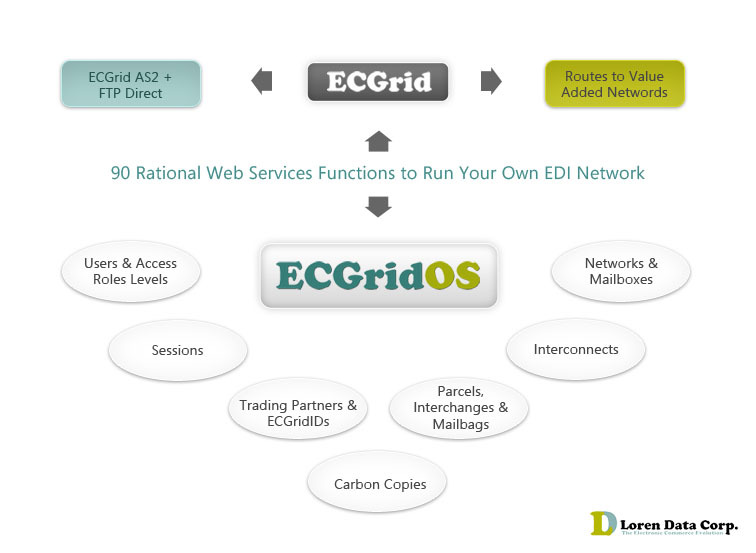 The EDI API Doctor, “Not if you manage 100’s and 1000’s of Users, Tenants, Machine and Process Relationships between 10,000 trading partners spread across 6,000 accounts in a managed cloud data center in a highly dynamic ecommerce environment – in short, B2B service providers that have outgrown EDI Account and Network control via manual processes.” That’s ECGridOS! 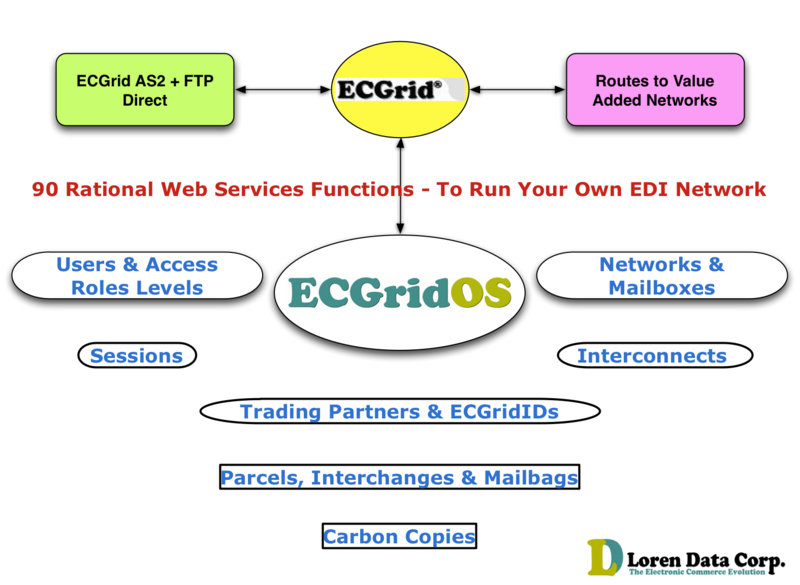 ECGridOS API is real stuff, and ECGrid is really not your daddy’s VAN. We service the high volume and dynamic multi-account ecommerce providers, who, until now, configured EDI as a one off per account process by actual human contact with legacy VANs….shiver. They (and you) need EDI Communications built in to their native code where it can be customized and invoked for self service by your hosted clients, or controlled centrally by your admins. OEM’s, SAAS B2B Hubs, and Cloud Data Centers all need fundamental EDI Comms; AS2 and FTP has outgrown their usefulness in On-Demand Service Delivery, where accounts are managed with stunning alacrity. And we sing about the real problems we have solved by giving our partners control over their own network – not some VAN’s Network, their very own. We back this up with the best network operations team in the EDI Business – no third level support, no phone menus, or holding. The API will reduce Net Ops support by at least 50% by virtue of the platform being composed of repeatable and atomic processes that we use internally for Loren’s very critical Wholesale EDI transit operations. But when Netops are needed, you essentially have acces to an extension of your own support organization, responsible party to responsible party. Let us RAP! This entry was posted on Thursday, March 25th, 2010 at 1:27 am and is filed under blog, Cloud, eRP, Multi-Tenant, SAAS, tools. You can follow any responses to this entry through the RSS 2.0 feed. Both comments and pings are currently closed.